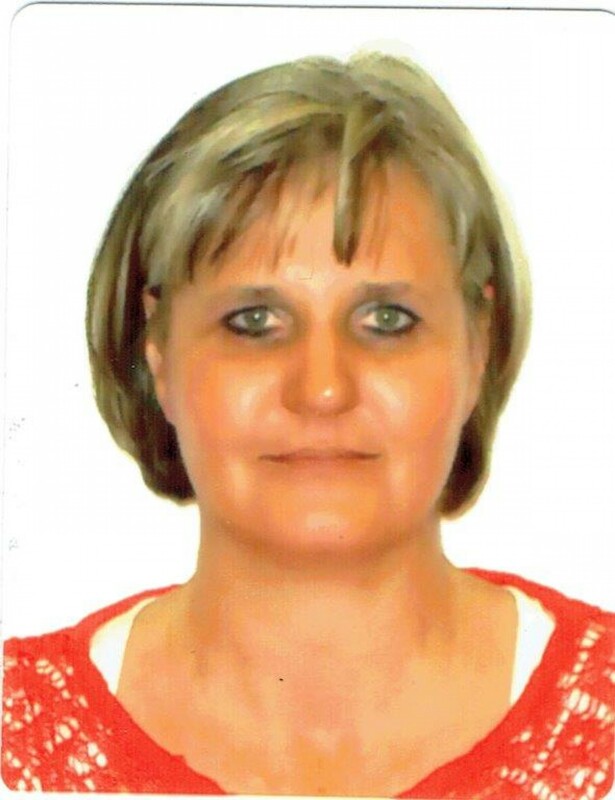 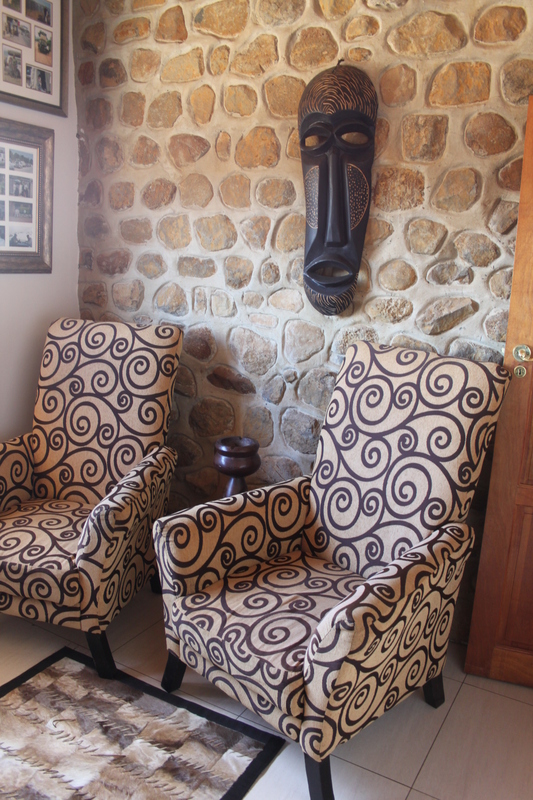 Motsomi is a family business owned by Pieter and Ria Potgieter. 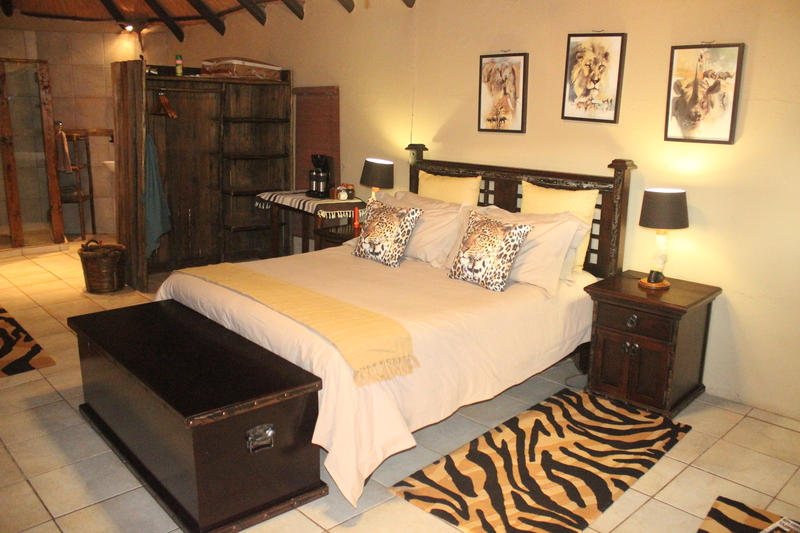 Pieter and Ria both being nature lovers and Pieter being an avid hunter decided to share their love for the African bush with people equal in their passion for nature.The sole purpose of Motsomi Safaris is giving our clients an unbelievable African hunting experience and to welcome them back as friends. 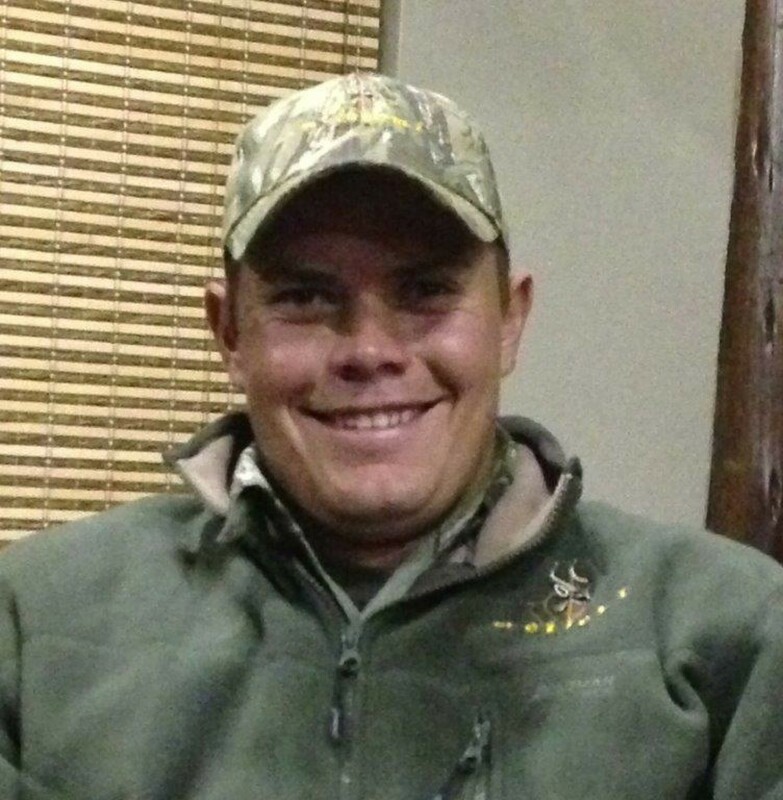 Pieter “I am passionate about what I do and being a hunter since the age of 6, would love to share my experience with you. 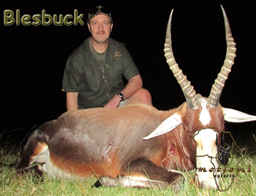 I know what goes through a hunter`s mind, what the thrills like, being a bow and rifle hunter myself. 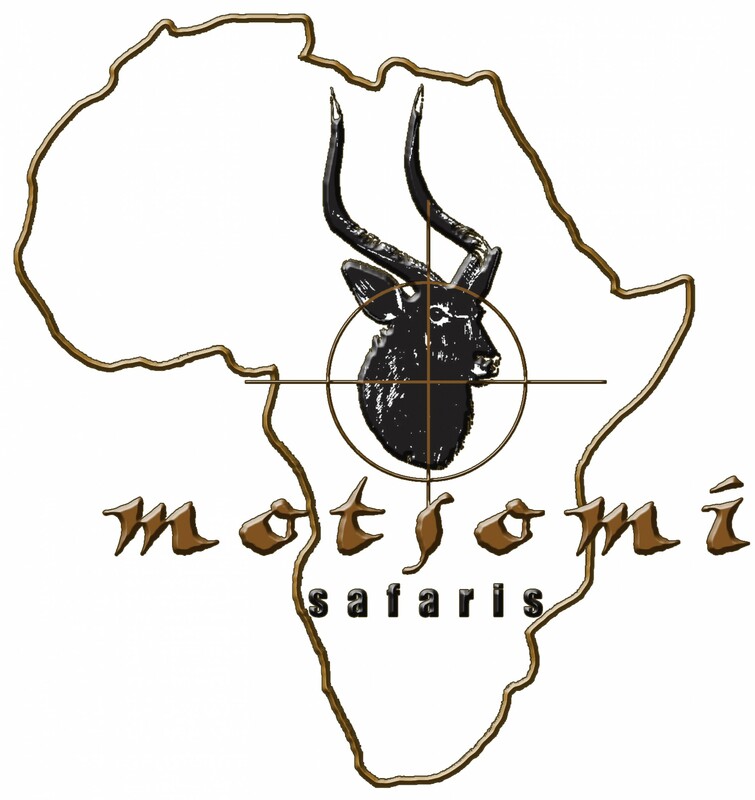 I will help you achieve your goals!” Whether you enjoy rifle hunting, bow hunting, photographic safaris or just a great African experience, we have the ideal customized adventure for you at Motsomi. 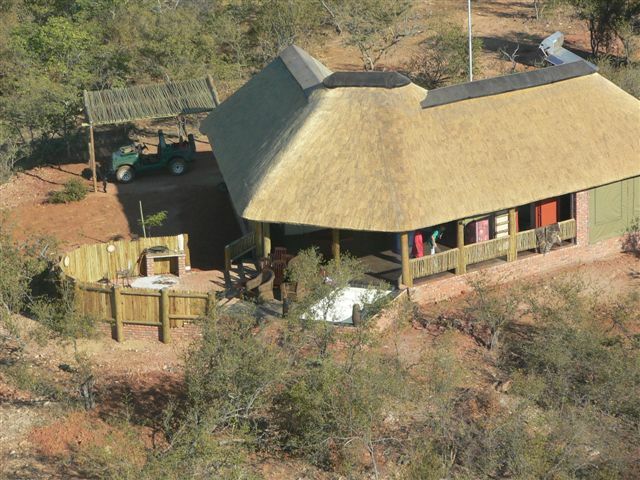  Motsomi Safaris Main Lodge is situated in the Limpopo Province of South Africa and is approximately 3.5 hours drive from OR Tambo International Airport in Johannesburg. 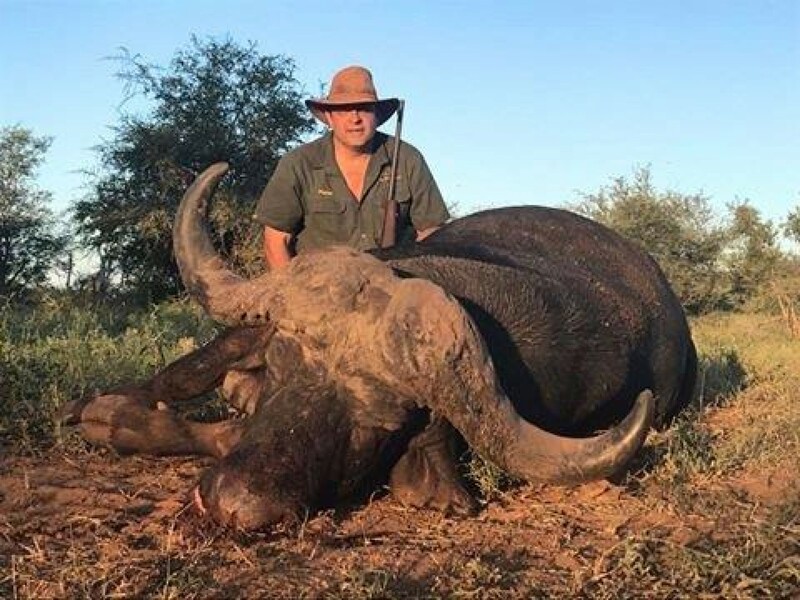 You need no connecting flights upon entering South Africa. 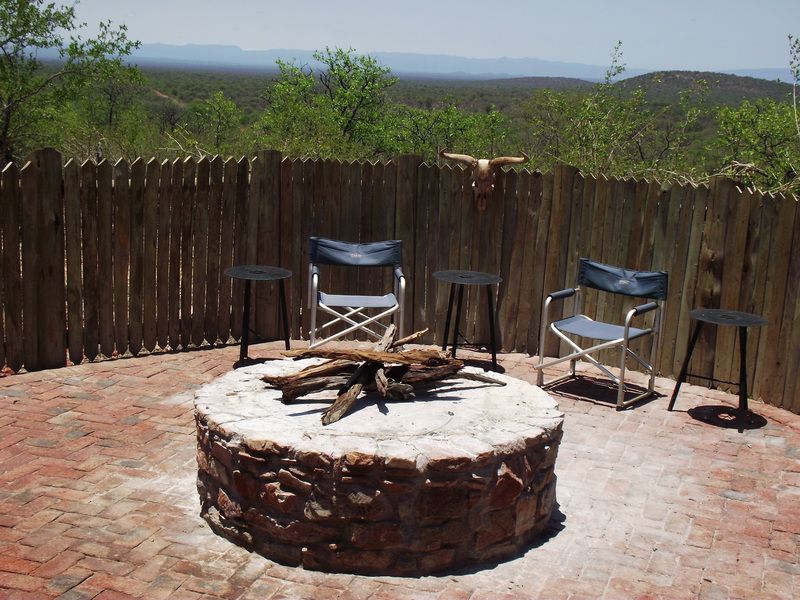 Close to the Botswana Border, it joins the well known Madikwe Game Reserve, home to the Big Five, cheetah and wild dog, with 200 000 acres of unspoilt bushveld. 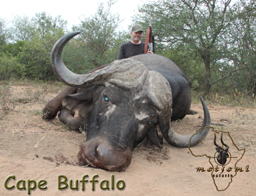 We operate mainly in Malaria free areas with concessions of more than 250 000 acres in prime hunting areas, with lots of different species of game and some of the best trophy animals near the end of their natural life, prime trophies to be taken by a proud and ethical hunter. 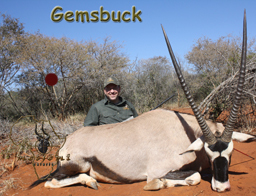 Bring your weapon of choice bow, black powder, handgun or rifle. 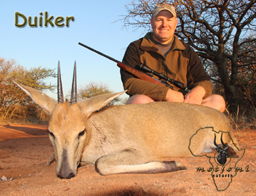 Pieter is passionate about what he do and being a hunter since the age of 6, would love to share his experience with you. 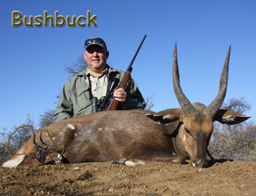 He know's what goes through a hunter`s mind, what the thrills like, being a bow and rifle hunter himself. 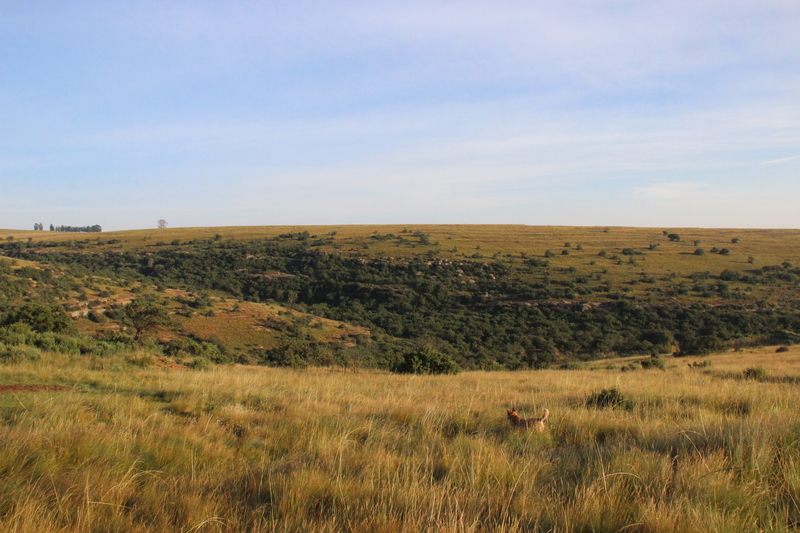 He will help you achieve your goals! 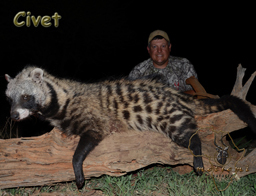 Marco is passionate about hunting and love to share his experience with you as hunter. 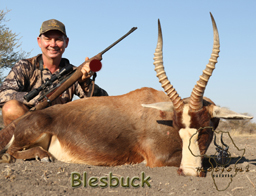 He know's what goes through a hunter`s mind, being a bow and rifle hunter himself. 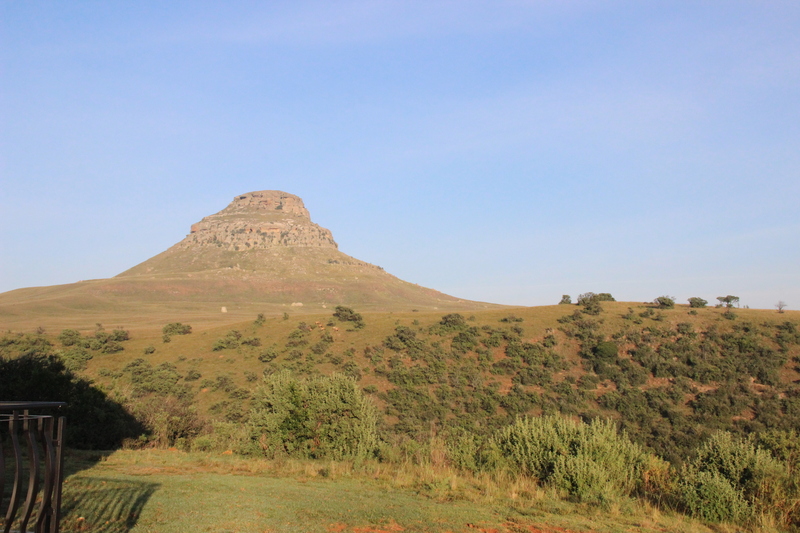 He will help you achieve your goals! 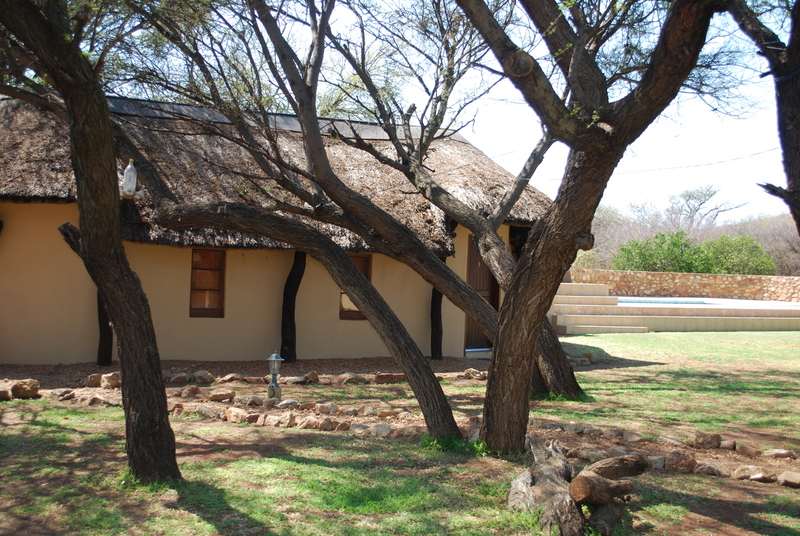 Ria works in the office, helping with your reservation and to let your Safari work according to plan. 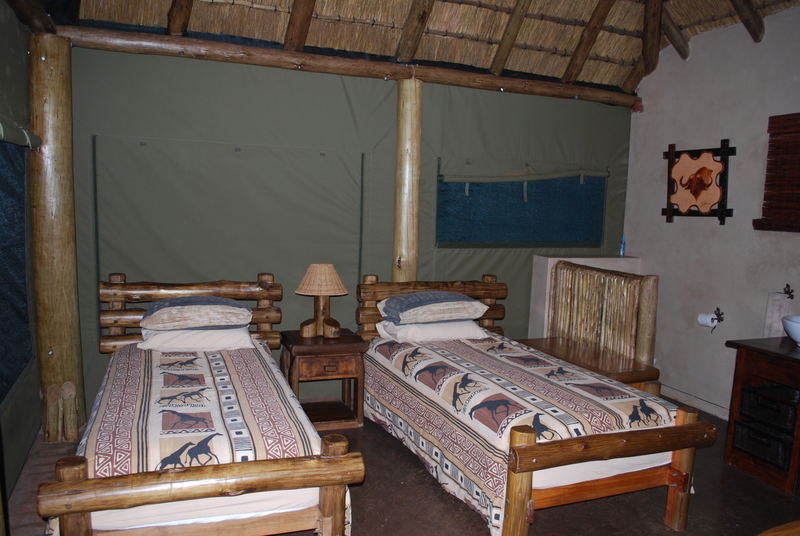 Tanzania camp consists of spacious and comfortable wall tents on a river bank with ample shade throughout the day. 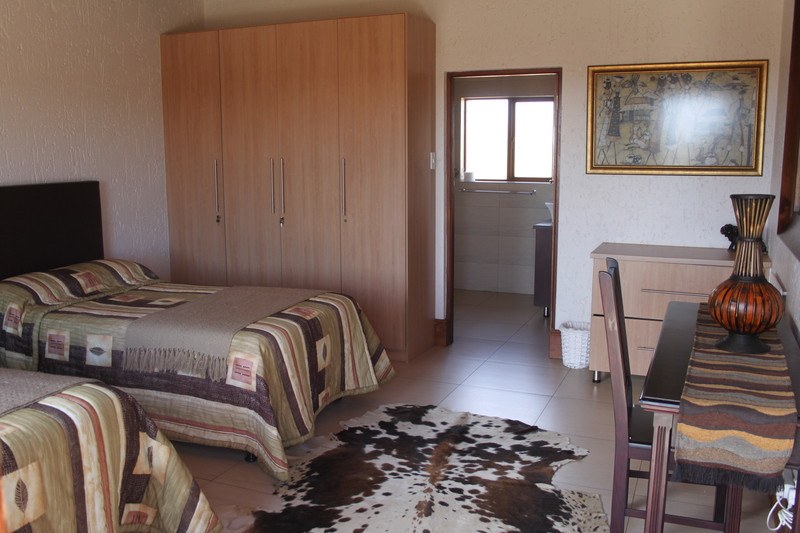 Equipped with all the luxuries and amenities of modern living. 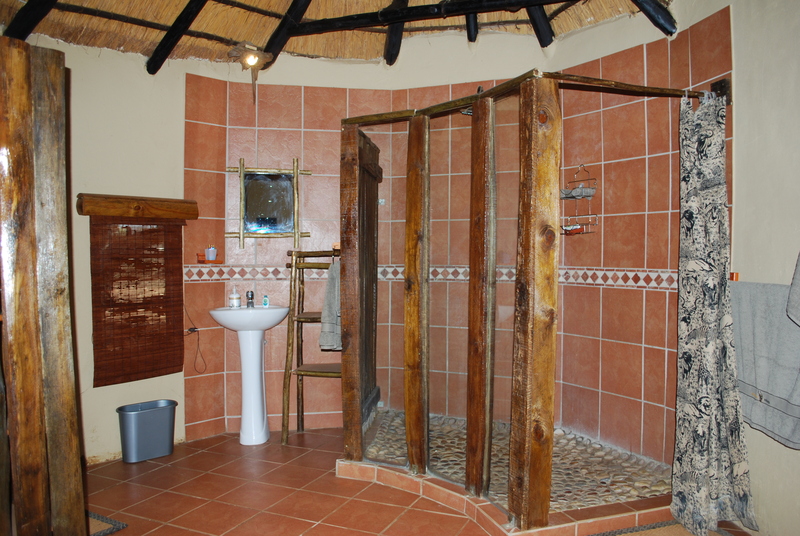 Each insect proof tent, includes a bathroom featuring a sink, flush toilet and shower, with hot and cold running water and electricity. 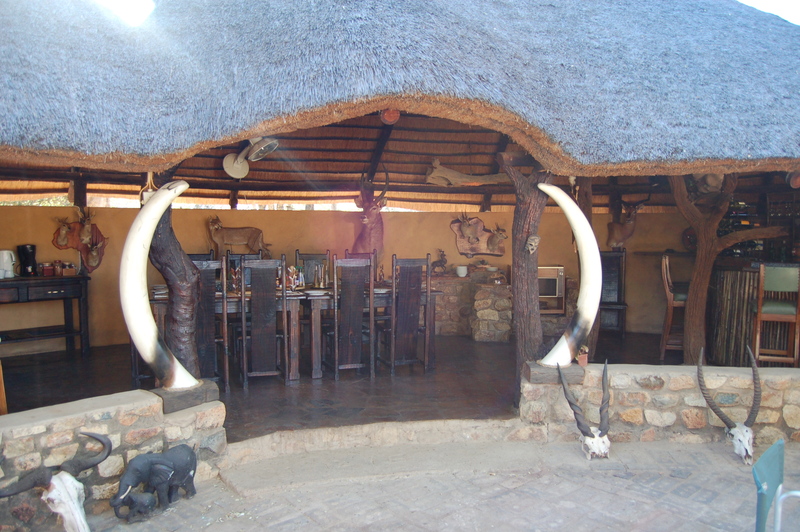 A spacious dining and lounge area features a well-stocked bar and comfortable living area, where one can relax, reflect on the day’s events and enjoy the sounds of Africa. 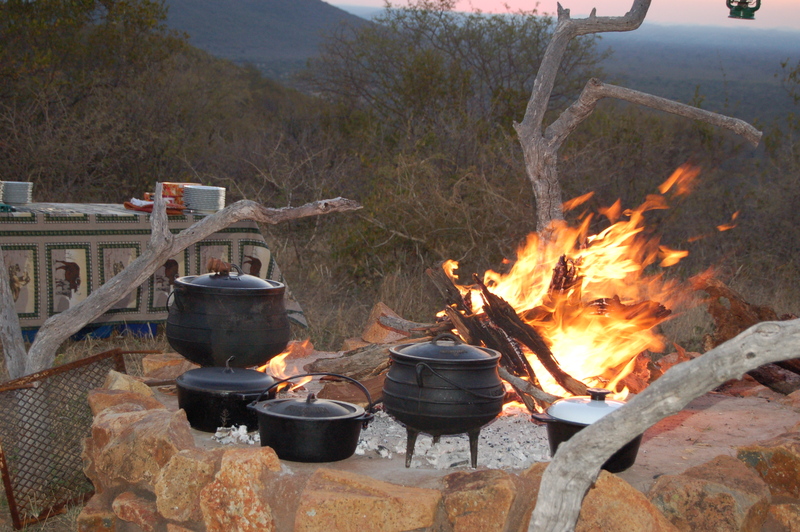 In the evening enjoy your favorite drink around a log fire with the roar of a lion in the distance and a 3-course meal expertly prepared by our chef. 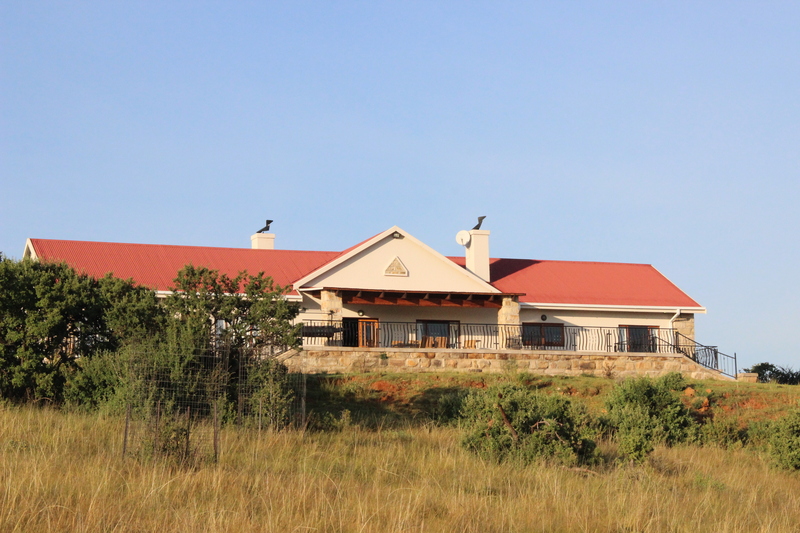 Driekoppen Lodge is situated in the Free state province about 2 and a half hours drive from OR Tambo international airport. 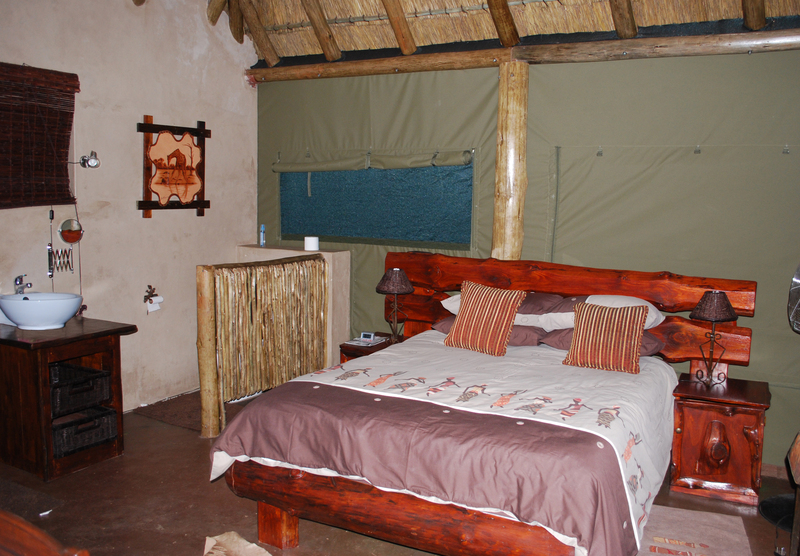 Accommodation in the various camps is cozy, comfortable and of a very high standard. 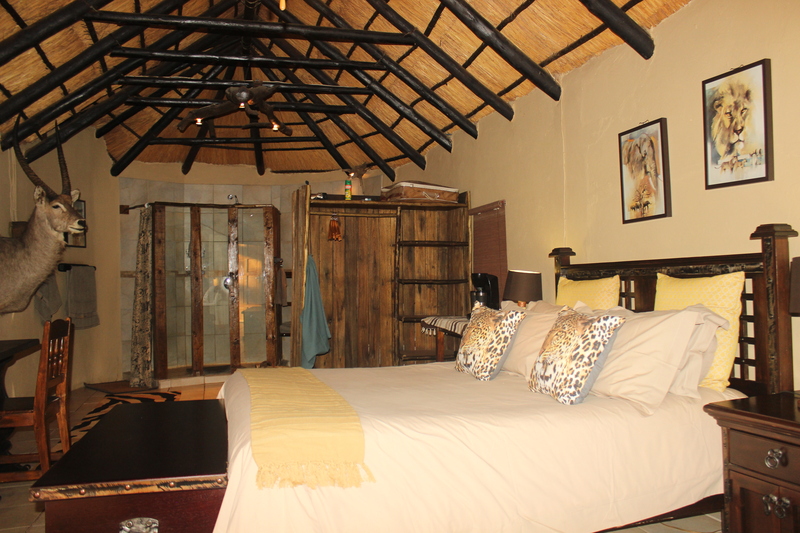 Rooms are decorated in African style and have private en-suite facilities with hot and cold running water, a flush toilet, shower and electricity. 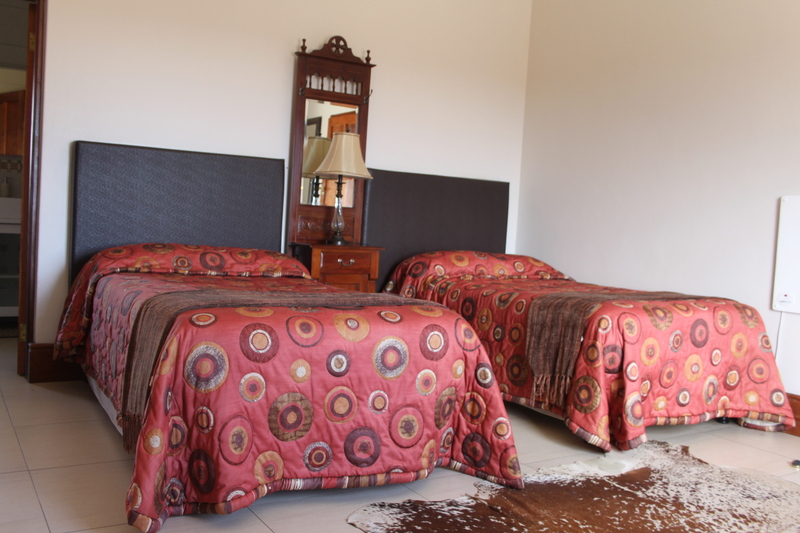 Laundry is done daily. 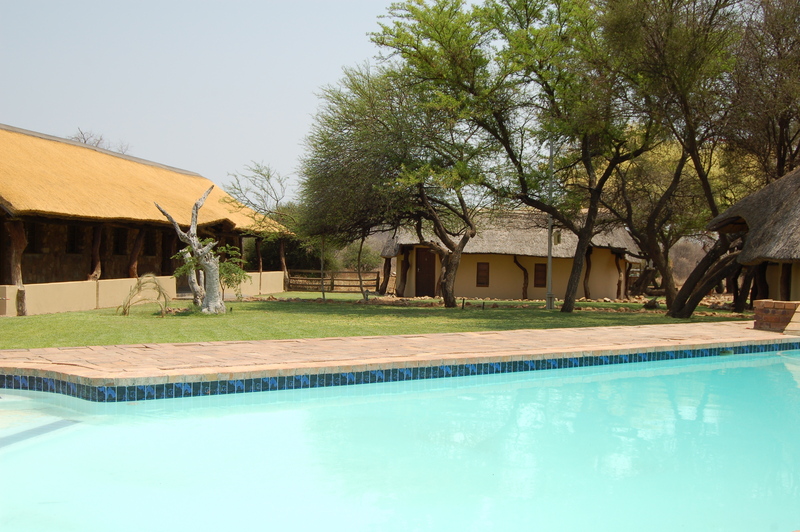 For a cool break from the African heat, a filtered swimming pool amidst the African bush is a welcome relief. 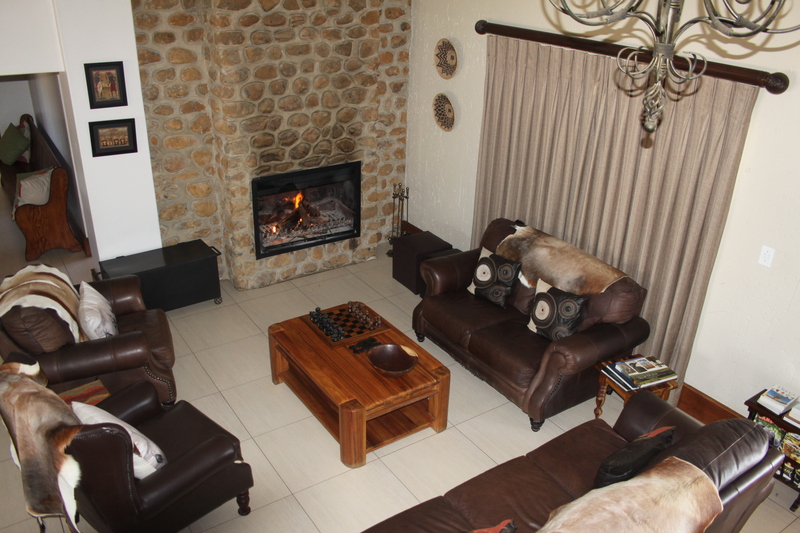 Exclusivity is guaranteed in all our lodges at no extra fee. 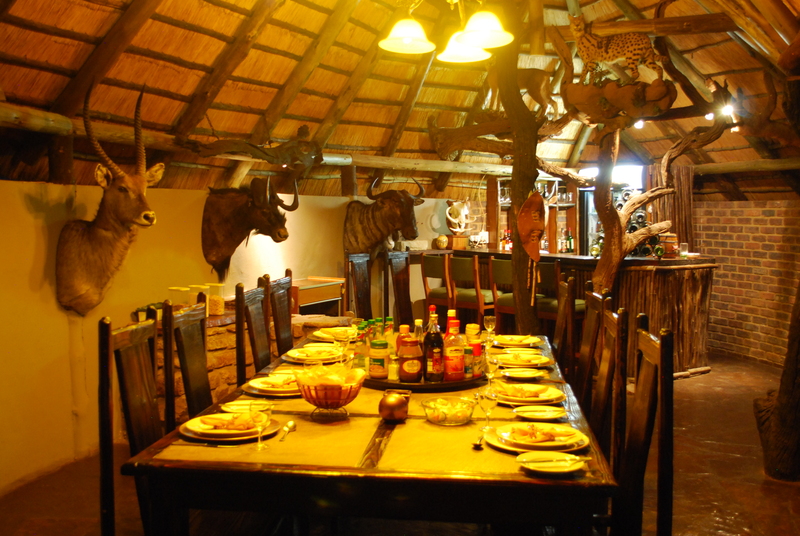 The mornings are greeted with a traditional African brunch whilst the long, hot days are ended with a delicious African feast. 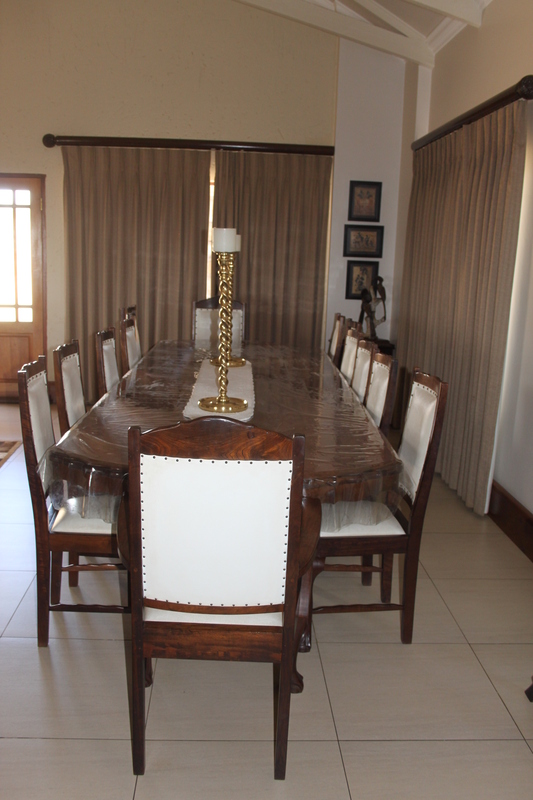 Catering can be done for specific dietary requirements. 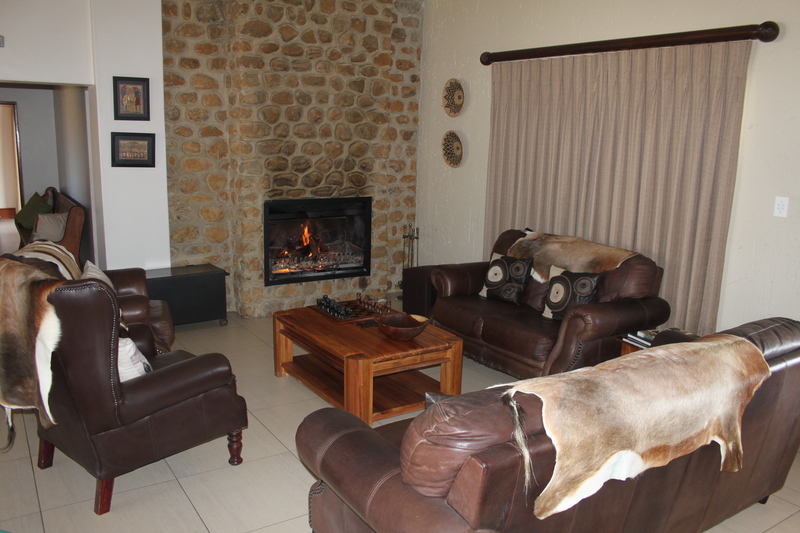 Evenings are spent around a large log fire, with the roar of the wild in the distance many memories of a good days hunt are both shared and enjoyed by all. 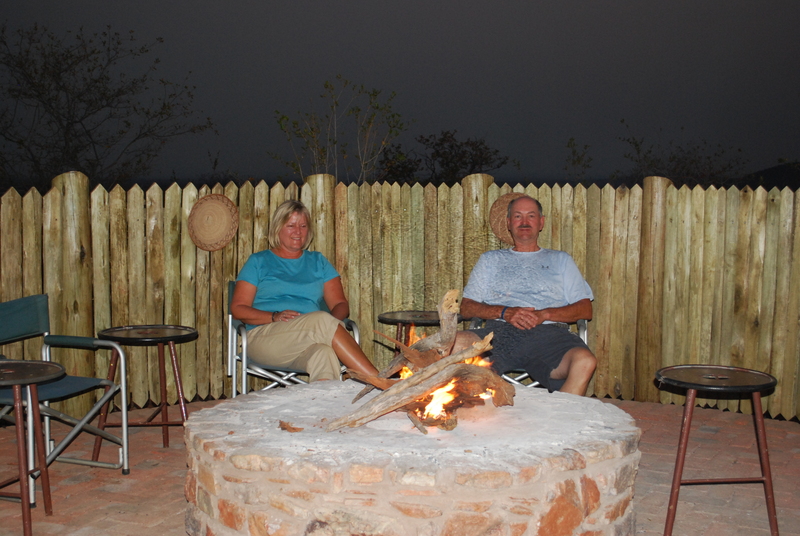 At the end of the day, as the afternoon sun sets fire to the African sky, relax around the camp fire; enjoy the calm of the African nights as the sounds of the wild pierce through your veins. 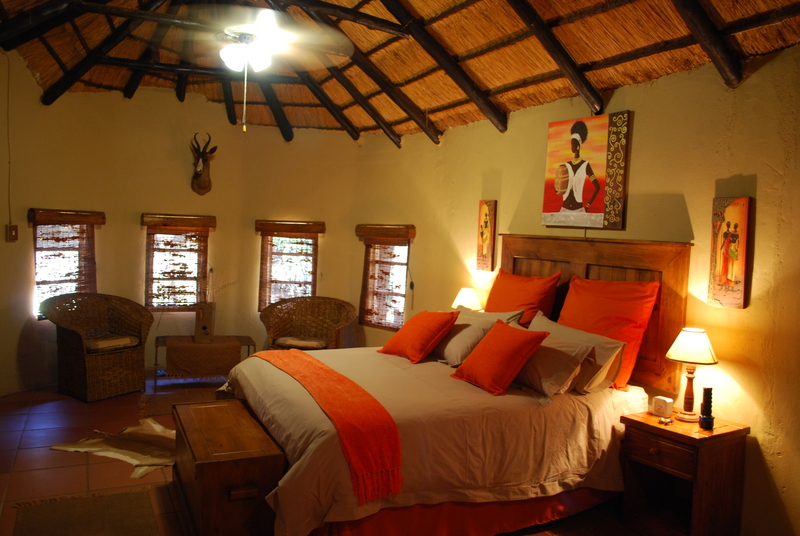 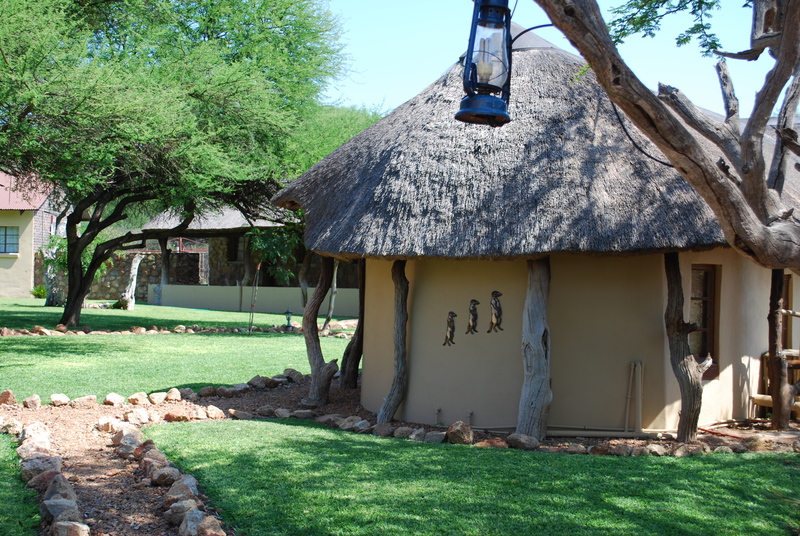 Nyala Lodge is situated in Limpopo Province, where the nearest town is Dwaalboom.. 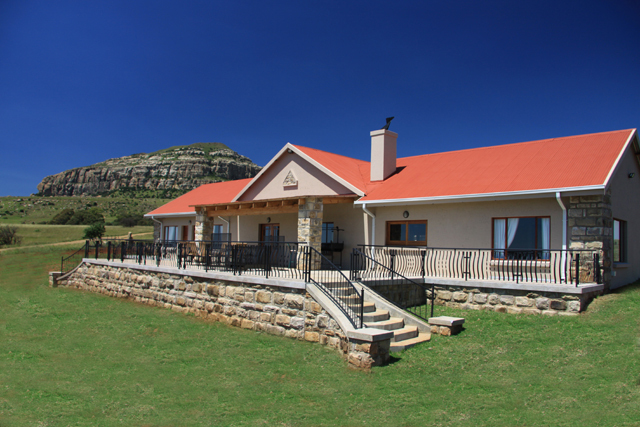 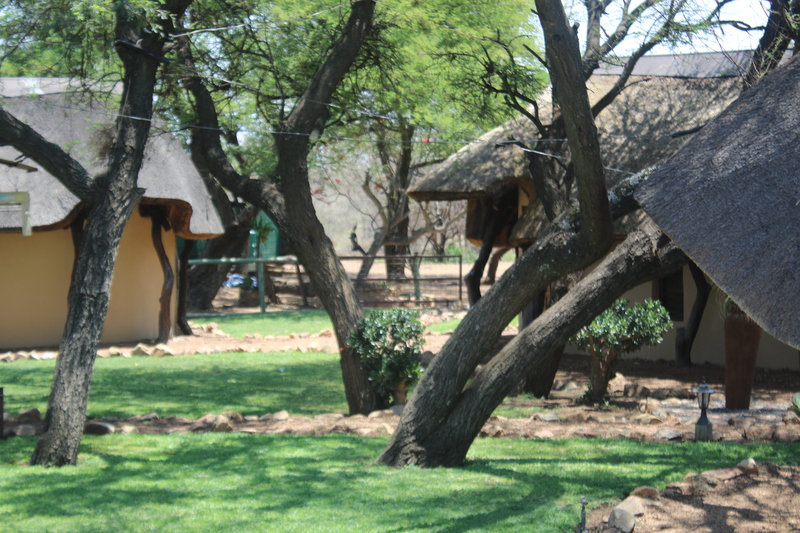 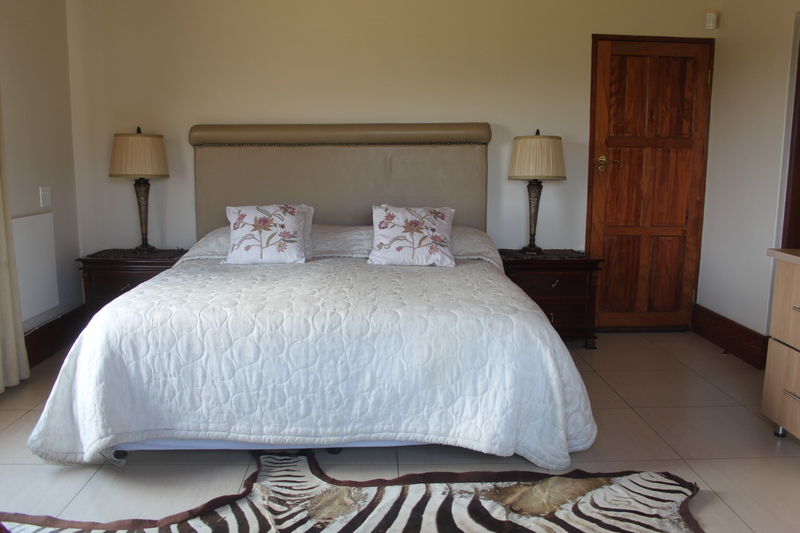 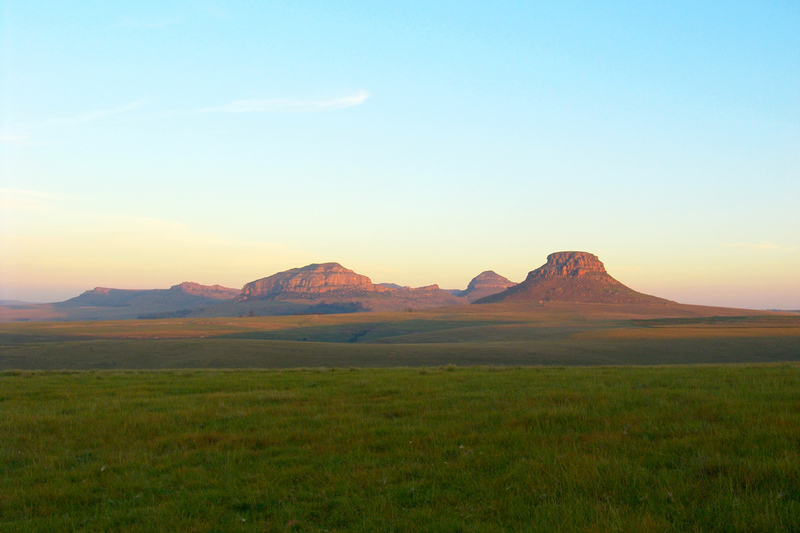 The Lodge is situated 3 hours drive from OR Tambo airport.